East Midlands Airport, part of the Manchester Airport Group (MAG) is the gateway to Europe for the Midlands, connecting Nottingham, Derby and Leicester to a wide variety of European cities and holiday destinations. East Midlands Airport delivers a versatile brand identity and customer focused mission statement to ensure it communicates clearly and effectively across all its marketing channels. A dynamic airport at the heart of three thriving cities, EMA currently flies to over 80 destinations. As such EMA has a strong brand presence both on and offlline and has created a sustainable position in the mind of its consumers across the east Midlands and beyond. 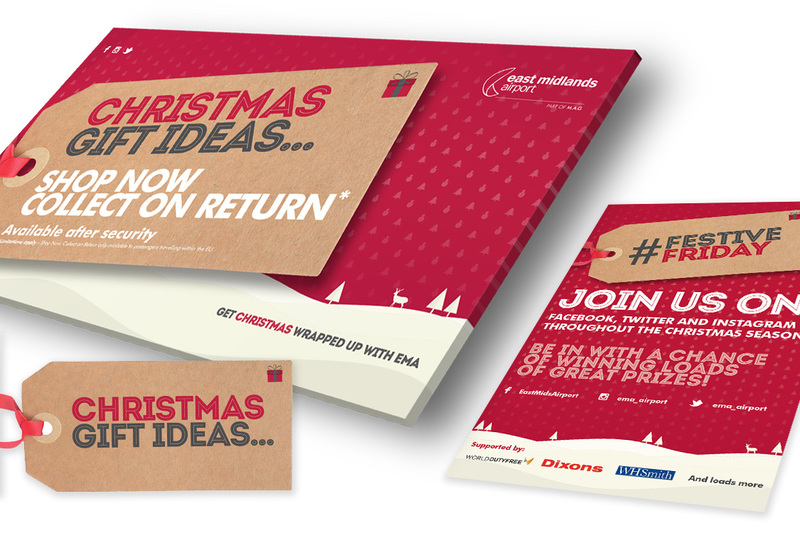 As part of an ongoing marketing retainer, threeguru were effectively an extension of EMA's creative team working on their 'Fly From The Heart' and call to action Xmas branding campaigns.